In a startling development Mahesh Keshavam, Gangadhar Yadav and Akbar Patel have announced that they’ve deciphered the Indus Valley script. Their task was made simple by the discovery of an Indian equivalent of the Rosetta Stone. For those who don’t know, the Rosetta Stone, an ancient Pharaonic-Egypt decree discovered in the 18th century, helped decipher the ancient Egyptian script. But the convincing proof is the Naga Stone itself. The message written on it is unambiguous. The local ruler of that time, Vasuki, said that the ancient Naga celebration of Panchami must be followed since it had come down to his people (whom he called Vedic people) from an ancient 10,000-year-old tradition from Sangam and Dwarka. Since the stone itself is at least 3,000 years old, it makes the ‘mother cultures’ of Sangam and Dwarka more than 13,000 years old, that is, before the end of the last great ice age. But where were Sangam and Dwarka? “We believe that Sangam refers to an ancient Tamil civilisation and Dwarka to an ancient Gujarati one,â€� said Akbar. “It would seem that the British writer, Graham Hancock, was right. He had postulated that there were many ancient civilisations spread across the world before the end of the last great ice age, when the sea levels were a lot lower. Two of those civilisations were based in India -one off the coast of modern Tamil Nadu and another off the coast of modern Gujarat. These civilisations were destroyed when the ice age ended and the sea levels rose. The survivors escaped to the north and established what we call the Vedic civilisation. So, according to Graham Hancock, the ancient Vedic civilisation descended from an even more ancient Tamil and Gujarati civilisation. 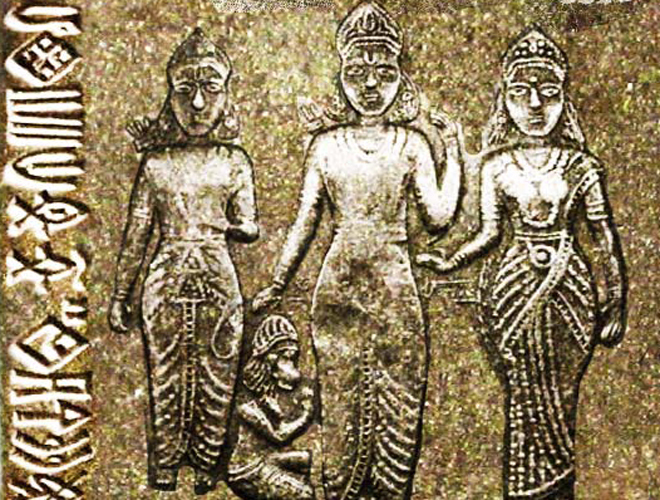 The Naga Stone has just confirmed this theory.â€� Clearly, our history books need some rewriting! Is the idea of reincarnation just religious superstition or new-age wishful thinking? Reincarnation is spoken of in many cultures and religions as something that occurs to souls when they have lessons that still need to be learned in physical incarnation. For example, let’s say I was born into a rich family and coasted through life in comfort and freedom without struggle. When I return home to the spirit realm, I may need to reincarnate again into the physical plane to experience struggle and hardship in order to fully appreciate what comfort and freedom are. Some return for lessons, some apparently return to alleviate karma from past-lives, and some return simply to do good work on the earth and help other souls evolve here. But is there any scientific credibility to the belief in reincarnation? There are foods that you eat, possibly every day, that are so toxic that they are banned from being used in countries. The European Union, China and other superpowers have backed off from using some heavily processed foods and chemicals that have been proven to cause health issues when consumed. But not the United States. The Hindu Wedding ceremony is a long and elaborate ceremony, with every step rooted in Vedic tradition, signifying various aspects of life that is to follow after the wedding. The mandap-canopy or marriage stage is decorated with flowers and with a fire as witness, the Hindu wedding ceremony begins. The groom arrives for the wedding with his family. They are all greeted by the bride’s family. The bride’s mother then performs a welcoming ritual and leads the groom to the Mandap. The wedding ceremony begins by offering a prayer to Lord Ganesh. 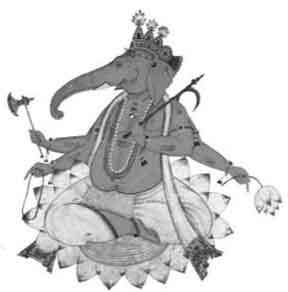 Lord Ganesh is worshipped, so he may remove all obstacles and bless the couple. The bride is escorted down the aisle to the Mandap by her maternal uncles.